Since we cannot work on keeping the performance of Opera Mini on Windows Phone to the standard that we would like, we have made the decision to remove the app from the Windows Phone store. This does not affect existing users who can continue to use the browser. We are still monitoring for critical issues but there will be no more updates or features. Since we released our stable version of Opera Mini for Windows Phone in June 2015, we’ve done a lot to improve the app. But, more recently, we have had to hold off on active development. We’ve received so much support (you guys rock!) but also a lot of questions about what our plans are for the app this year. Hopefully I can help answer some of those now. 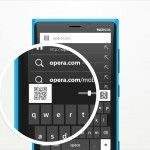 So, when can we expect an update for Opera Mini on Windows Phone? In short: no major updates are planned for the next few months. This is, of course, not set in stone, and we’re hoping to review the platform later this year. But, right now, the small team who were working on the Windows Phone app are now dedicating their time to our other apps on iOS or Android. Having said that, we will continue to make sure the browser on Windows Phone is still secure to use. The developers are also keeping an eye on bugs to fix major annoyances as they can (so keep your bug reports coming in!). Wait, didn’t you just update the app not long ago? Some of you saw that a surprise update came to the browser not that long ago. This brought a fix to a bug that we saw was affecting a lot of people and we were able to bring a fix to. Although the team who built Opera Mini for Windows phone aren’t actively bringing updates to it, they still want to keep it running smoothly. What about a Universal Windows Platform app? Since we also have a pretty cool desktop browser designed for Windows, we’ve discussed bringing out a universal app at some point. However, at this time we don’t have the resources to work on this. When we review our outlook for the mobile platform later this year, this particular project will be high on our wish list. 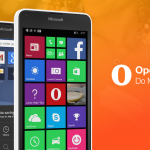 Why don’t you just port your iOS version of Opera Mini to Windows Phone? You may have seen other apps like Instagram take their iOS version and port it to the Windows Platform. This basically means you’ll be served the same app on each operating system. This allows, companies to spend less development resources. This is a great solution for some apps, and our teams did look into it as a possibility, but unfortunately it wasn’t a good solution. A browser is a much more complex animal than other apps (which is why we enjoy making them). Why are you focused so much on Android and iOS? Simply put, that’s where our strengths and biggest user communities are. We’d be building cool stuff on every platform and operating system in the world if we could. But, right now, we’re focusing more on the platforms that can help us make the most positive impact on the web and web technologies. 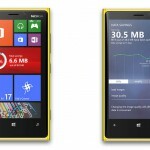 When will we be able to sync on Windows Phone? We know this is a big sticking point right now, but it’s a massive project, and we can’t promise that we can deliver it this year. Where can I report bugs to you guys?